“I like buying easy businesses which any idiot can run. Such businesses gush out cash. 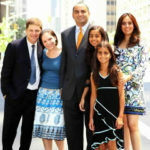 I don’t like complex or difficult businesses,” Mohnish said. Mohnish’s style of speaking is such that even the rawest of novices can comprehend what he is saying. However, the novices still stared at him unblinkingly with a dumbstruck expression on their faces. So, Mohnish gave a real-life example of an “easy business which an idiot can run”. Mohnish explained that Coca-Cola has such an impenetrable moat around it due to its brand image, secret formula etc that even the various idiot managers that it hired over the decades could not destroy it though they tried all sorts of buffooneries. “Not only could they not destroy it but it grew like crazy,” he exclaimed. “Despite decades of poor management, buying film studios, buying shrimp farms in Thailand, selling them at a loss, etc, it has been a great investment,” he added. “It has been a great investment because the core business is phenomenal and it is easy to run,” he emphasized. Mohnish is understandably proud of the investments in realty stocks that he made during the great demonetization crises of 2016. When the realty stocks plunged like stones in the wake of the crackdown on black money, Mohnish pounced on them and grabbed truck-loads of three high-quality stocks being Sunteck Realty, Kolte-Patil and Oberoi Realty. Mohnish later explained that the stocks had plunged to such an extent that they were available at “one-fourth their liquidation value”. “These businesses got down in some cases to one-fourth of liquidation value. 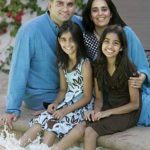 If you are buying a business at a significant discount to what you can liquidate it to and on top of it has a great earnings engine and good management and other good things, how can you lose?” Mohnish had then asked with a big smile on his face. He also pointed out that the Slum Rehabilitation Development (SRD) Scheme, demonetization and GST have combined to give realty stocks the “Lollapalooza effect” where one plus one is not two, but becomes 11. Even in the latest interview, Mohnish emphasized that realty stocks in Mumbai qualify as “wonderful businesses” which deserve to be held for ever owing to the acute shortage of land and perennial demand from affluent customers. Mohnish also provided a counter-example of a difficult business which idiots cannot run and even wise people can destroy. He explained that the business of banking and lending money is not a great one. Instead, it is a complex one because you have to carefully pick and choose your borrowers before handing over money to them. “They have to lend out 7x to 10x of the capital to make 1% return on assets,” he said. The margin of error is very small and one big NPA can wipe out the entire capital, he emphasized. Mohnish cited the example of PSU Banks as an example of how idiots can completely ruin a business even as the novices shuddered in horror. Warren Buffett has also given several examples of illustrious companies which have “wonderful businesses”. Coca-Cola was itself cited by Warren as an example of how, if you buy a wonderful business and hold it for decades, you will get stupendous returns despite all the problems that may come in the way. An investment of $50 in one share of Coca-Cola and a reinvestment of dividends would have converted that paltry amount into a fortune of $5 Million. “If you are right about the business, you don’t have to worry about anything else” Warren Buffett said. He also gave examples of companies like Gillette, McDonalds, Nestle etc as stocks which sensible investors should buy and hold in their portfolios. Peter Lynch has also provided us with a classic explanation of what wonderful business are, which idiots can run. He cited real-life examples of stocks like Walmart, Dunkin Donuts etc which are self-propelled and require very little managerial input. Now let us peep into the latest portfolio of Mohnish’s Pabrai Funds. Thankfully, Ayesha Faridi and Karunya Rao, the charming ladies with ETNow, have done all the back-breaking work and handed over the information to us on a platter. A comparison of the present portfolio from what it was on 18th July 2018 reveals that there has been substantial improvement in values. The value of Rain Industries, the crown jewel in the portfolio, has surged from Rs. 572 crore to Rs. 684 crore, posting a hefty gain of nearly 20%. Prima facie, it appears that the relaxation by the Supreme Court of pet coke imports for select industries has provided a reprieve for Rain Industries. Also, the Q1FY19 results are said to be robust. Sunteck Realty, the crown prince in the portfolio, has also surged from Rs. 474 crore to Rs. 566 crore, posting gains of nearly 20%. On an overall basis, the portfolio has increased from Rs. 1735 crore to Rs. 1977 crore (excluding IEX, the new addition), reflecting a gain of nearly 14% since 18th July. Indian Energy Exchange Ltd alias IEX is the latest stock to be hand-picked by Mohnish for his portfolio. As of 30th June 2018, his Pabrai Investment Fund 3 holds 4,42,432 shares while Dhandho Holdings LP holds 3,09,222 shares. The collective investment of 751654 shares is worth Rs. 122 crore at the CMP of Rs. 1620. Is IEX a ‘wonderful business’ than an Idiot can run? Prima facie, it appears that IEX ticks all the boxes that are required to qualify as a ‘wonderful business’. According to the wizards at IIFL, IEX has a “Unique business model with superior return ratios”. “Indian Energy Exchange (IEX) executed ~97% of total power exchange volumes in FY18. IEX would see trading volumes rise at 14.9% CAGR over FY18-20E due to (1) 5% CAGR in power demand over FY18-20E, and (2) market share of IEX rising from 3.8% (FY18E) to 4.6% (FY20E). Thus, we forecast EPS CAGR of 16.8% over FY18-20E, with IEX maintaining its ROE at 40%+ over FY19-20E. We recommend BUY with target price of `1,956 (33x FY20E EPS). Power distribution companies (discoms) are expected to increase sourcing from the short term market. Factors behind this shift are: (1) short prices are lower on average than existing PPAs, (2) variability in power supply due to rise in power generation from renewable sources, and (3)reduced network congestion due to expansion of transmission capacity (refer exhibit 1). IEX would benefit from migration to short term market over FY19-22E. This migration has been due to transparent price discovery on IEX. Due to price discovery mechanisms, differences in inter-regional power prices have reduced by Rs 1.1 per unit over FY14-18 (refer exhibit 4). Power exchanges in India had a market share of 3.8% in FY18E. This is much lower than that in developed countries, where the market share ranges between 30-50%. This highlights the long term growth trajectory for power exchanges, as Indian power markets converge with global standards. We are positive on IEX due to (a) growing share of the short term power market and exchanges, and (b) unique business model with superior return ratios (refer exhibit 6) and negative working capital. We value the stock at 33x FY20E EPS, which we feel reflects IEX’s long term growth opportunities and its unique business model. Further, strong cash flows would allow for healthy distribution to shareholders via buybacks and dividends“. No doubt, the logic by IIFL is quite convincing and IEX does look like a powerhouse stock. 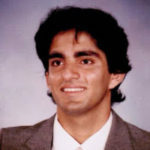 We have to compliment Mohnish Pabrai for not only tutoring us on the theoretical aspects of investment but for also providing us with real-life examples from his own portfolio. No doubt, this will help us to become better investors and also pocket the elusive multibagger gains! 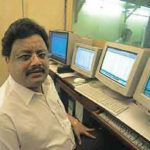 sohail roshni:Suntek is a good realty play but its got highest mcap/sales in industry. I am bullish on ICICI BANK for next two years. I echo your sentiment Bholu. I am very bullish on Bank of Boroda! Absolutely right! It’s a surprise that it was being recommended for so long by so-called experts when it was so glaringly obvious there was a big hole there. contrarian sir : yes bank to become no bank !! seriously !! Bade bhai ! Yes bank & Indusind bank ne chwanprash khaya hai kai saal . Inki bal sheet main kitni bhi kami kyun na ho jaye , yeh dono ke paas bahut bade bade investor ( fii ) bethey hain inko jawan rakhne ke liye. doston yeh hai private sector ke karan- arjun . bhai kuch bhi likh dene se yeh na thamtey . yaad hai woh hero honda advt : fill it shut it forget it. bhai log : khush raho – mast raho – accha bolo – acha karo & desh ke saath badho & apne parivaar main bhi khushali laoo !! I too believe that private banks are far better than PSB for long term investment. PSB may be considered for short / medium term trading. I would strongly recommend RBL for investment. Looks wonderful from a 3-4 years perspective. Let’s see where these two maha Navratan go after the exits of Rana Kapoor and romesh Sobti!!!!! icici bank is a no brainer and so is dhfl. valuation wise and also future outlook. Yes Bank hit fresh 52 week high,is among one of my top holding. Mohnish says avoid BANKS, but he himself bought JAMMU & KASHMIR bank a few years ago and exited under a BIG loss! So please don’t blindly believe what this guys says. He also bought GIC HOUSING FINANCE and again exited before he unlocked the value. This guy always wants to be in the limelight. It was widely reported he bought KRBL a few months back, and than turned out he never did!! He lost both in j&K bank and SI bank badly, so angur khatte Hain. Please suggest on Reliance Industries (RIL) as the next Multibagger..this should be a no brainer multiplier in the coming years. uncle abhi bhi le lo varna no bank ke chakar mein aap yes karna hi bhul jayo . plz keep ur bias & emotions away when investing on the best growing firms. 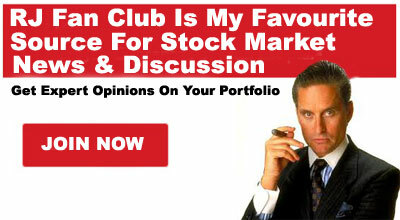 I am not bullish on any of the listed stock.